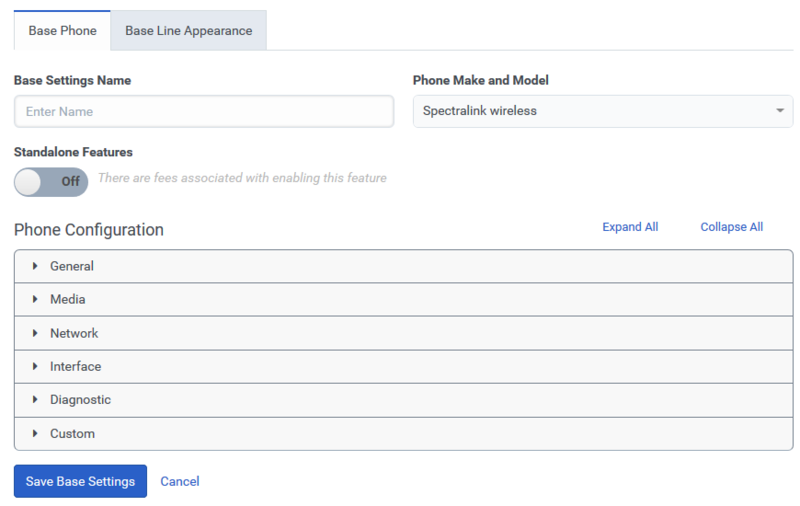 You can configure the Spectralink wireless phone to work in PureCloud by creating a base settings profile. This profile contains a group of settings found on the Base Phone and Base Line Appearance tabs that define how a Spectralink wireless phone is to operate in PureCloud. Once you create a base settings configuration, you can save it with the default settings or you can customize the settings. From the Phone Make and Model list, select Spectralink wireless. To use your custom base settings, click Save Base Settings and proceed to the Configure the base line appearance section of this article. 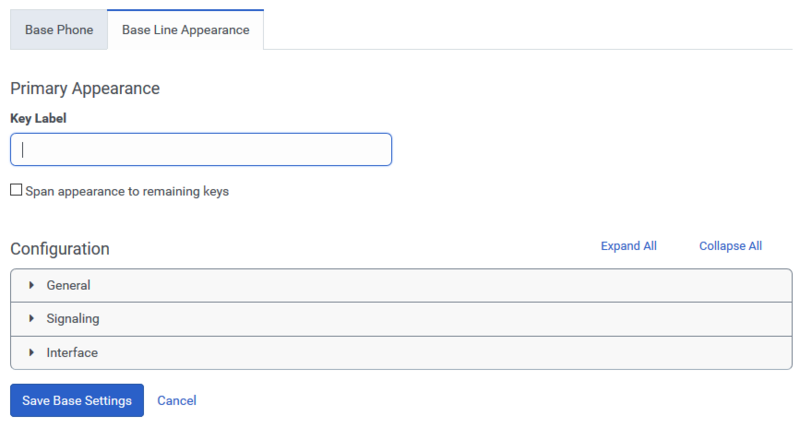 To use the default base line appearance settings, click Save Base Settings. You can now Create a Spectralink wireless phone. 以下を使用する Use the Hostname or IP Address and Port fields to construct a prioritized list of SIP servers or proxy servers to use to process outbound requests. Use the + to add the server to the list. Use the arrows next to the address name to change the order in which the servers in the list are used. Once you have created a base line settings for the Spectralink, you can Create a Spectralink wireless phone.